TTN, 2nd May 2018With an enquiry by Australia’s Productivity Commission into the Economic Regulation of Airports to begin in late 2018, The Tourism News and its parent company Australian Voice are calling for Australian tourism operators’ opinions on the subject of productivity. The federal and state governments frequently tout their interest in regional disadvantage. Monopolies over air service in major cities and the economic effect of major airport and airline operations are a clear and present disadvantage to regional operators. Passengers are paying higher airfares than they should because of the high fees Sydney Airport and the country’s three other largest airports slug airlines, the competition tsar has warned. The amount Sydney Airport reaps in so-called aeronautical revenue rose by more than 4 per cent to $18.30 per passenger last financial year, the Australian Competition and Consumer Commission’s annual report card on the airports shows. ACCC chairman Rod Sims said a rise in profits per passenger at each of the country’s four largest airports also meant travellers were paying for it through ticket prices. While the airport’s profit margin from car parking fell 1.2 percentage points last financial year, it was still the highest of the four main airports. Brisbane’s was 68 per cent, Melbourne (almost 60 per cent) and Perth (52 per cent). But an 8 per cent fall in the number of vehicles passing through Sydney Airport’s car parks each day resulted in total revenue from them falling by almost 1 per cent in real terms to about $135 million. The average parking fee for up to an hour for someone who turned up at Sydney Airport’s domestic terminal last financial year was $17.56, compared with $10.73 for an online booking. A “drive-up” fee for up to three hours was almost $34, compared with $20.80 online. Sydney Airport’s overall quality of service remained on a par with Melbourne at “satisfactory”, compared with a “good” rating for Perth and Brisbane. 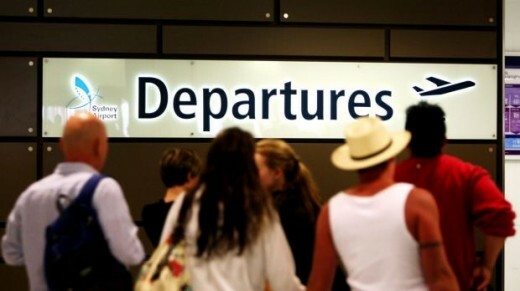 With construction of a $5.3 billion airport about to ramp up at Badgerys Creek in Sydney’s outer west, the regulator said it was vital Western Sydney Airport was kept free of the operational restrictions such as a curfew imposed at Kingsford Smith. The revenue from aeronautical charges also reflected the fact that it was Australia’s largest airport, and it invested about $1 million each day in infrastructure to cater for growth in passengers, it said.